A 27-year-old woman has been raped on waste ground in Glasgow, police have confirmed. 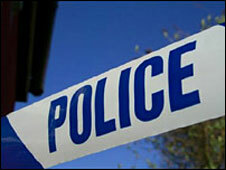 Police said the attack happened at about 0040 BST in Carrick Street. The suspect was described as being white, in his 20s, about 5ft 6in, well built with a tanned complexion and short gelled hair. A spokesman for Strathclyde Police said he also had a scar on the right side of his forehead, a scar on his stomach and a tattoo on his right arm. He was wearing a white T-shirt, light blue jeans with cargo pockets and white training shoes. He was last seen running on Argyle Street near Cadogan Street. Detectives are examining CCTV footage. Det Sgt John Anderson said: "The victim was uninjured but badly shaken following the attack, and is currently recovering at home. "I would urge anyone who may have been in the area of Carrick Street or elsewhere this morning, who may have seen the man or the woman, to contact the police as a matter of urgency. "The area is thought to have been fairly busy with patrons leaving nearby pubs and clubs and someone may have unwittingly seen something that could assist our inquiry."